Those lonely drawers without a dresser that you spot at curbside trash piles and garage sales? Don’t pass them by! Drawers are actually super easy to repurpose and there’s a lot that you can do with all or part of a drawer. Drawer fronts typically have some type of beveled or raised edge, which adds way more character to a project than a regular board. And drawer boxes are exactly that–a ready made box! Check out some of the neat ways you can transform old drawers with these 5 Ways to Repurpose a Drawer. You have to admit–Summer’s days are numbered. 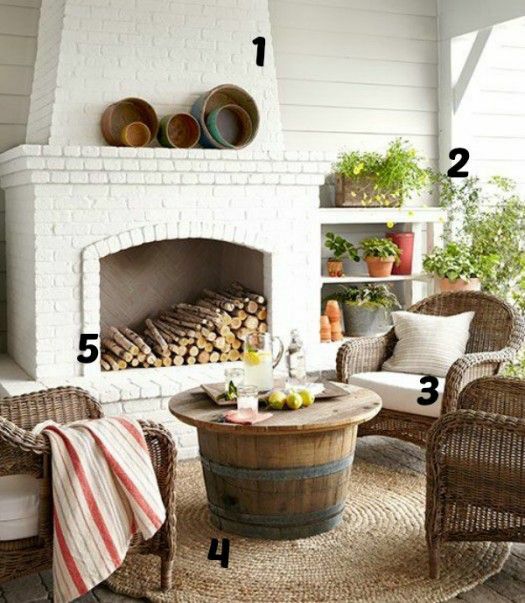 Let’s hang onto them as long as we can, by dreaming about an outdoor living space…like this beautiful porch I found on one of Edie’s Pinterest boards. The only thing keeping this outdoor living space from looking like it’s indoor counterpart is that fact that it’s missing some walls. Need ideas for an outdoor room of your own? I’ve found five tutorials to get you started.